Few things are harder for parents than children who do not sleep. 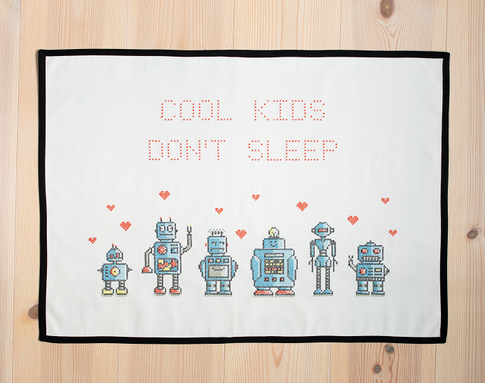 Few things are more fun for children than to be awake. How else would they have enough time to discover the world? 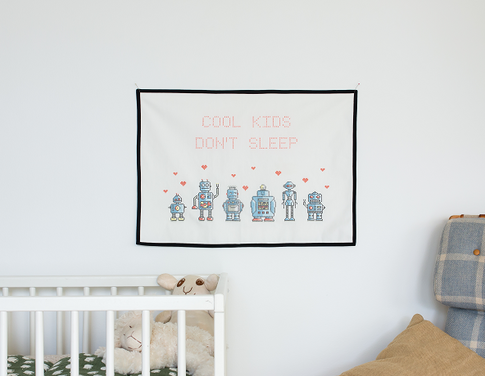 We want to celebrate both our small cool "explorers" and the parents that patiently follows along the crooked paths with this wall hanging. So when the kids have gone to sleep, pick out your most cozy spot at home and cross stitch for a while. A well needed and relaxing break in your everyday life just for you. Celebrate yourself!